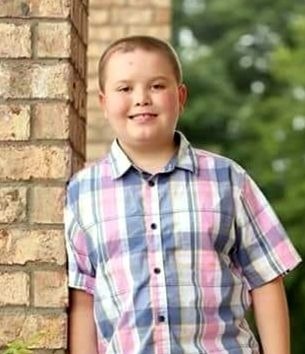 Skylar Asbury Martin Graves, 11, of Scottsville, KY passed away Wednesday, November 28, 2018 at Monroe Carrell Jr. Children's Hospital at Vanderbilt. The Glasgow, KY native was a student at Allen County Intermediate Center, Little League Football Player and member of New Gospel Outreach Church. A maternal aunt: Amanda Disman, Scottsville, KY.
A celebration of life will be 2:00 p.m. Sunday at Goad Funeral Home with Bro. Stephen Bratcher and Bro. Todd Bullington officiating and burial in Union Chapel Cemetery. Visitation will be 10:00 a.m. to 6:00 p.m. Saturday and after 8:00 a.m. Sunday until funeral time at Goad Funeral Home. Expressions of sympathy may take the form of donations for funeral expenses. Donations may be made at Goad Funeral Home.